The population of Colorado is expected to double by the year 2050. That means there will be another five million people living, working, playing, raising families, and otherwise enjoying all the things that make Colorado what it is. All these new people will probably want to take showers, water lawns, cook food, and play in the water that comes from Colorado’s rivers. But Colorado is dry land where water is scarce. Half the water used by the farms and cities along Colorado’s arid Front Range comes across the Continental Divide from the Colorado River. The population may double, but the water expected for that growth won’t. In fact, the flows of West Slope rivers are expected to decline. 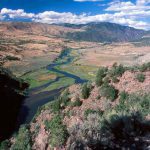 This concern has led American Rivers to list the Upper Colorado River and its tributaries in Colorado as No. 2 on our annual list of America’s Most Endangered Rivers®. Many of the rivers and streams of the Upper Colorado have been tapped and diverted east to support vibrant cities and productive agriculture. So much water has been taken from many of these rivers that their environment is growing pretty weak. Taking more water will only make the situation worse. But the idea of coming to the Colorado River basin for more water has become so ingrained that it’s hard for water providers in the east to imagine anything else. 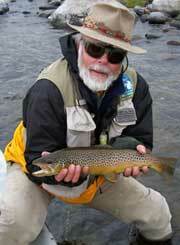 The headwater rivers of the Colorado are exhausted. Over 60% of the water in the Fraser River is already sent to the Front Range. The Blue, Eagle, Fryingpan, and Roaring Fork rivers also have considerable flows diverted east over and through the mountains. Long standing plans for expanded diversions will take even more water out of these rivers. 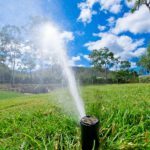 Yet the water providers east of the continental divide still want more. Their eyes are now cast upon new rivers of the Upper Colorado Basin. The Green, Yampa, and Gunnison rivers are all being considered as a “new supply” to slake the thirst of Front Range cities. Long distances, high mountain ranges, drought, shrinking flows, downstream compacts, and high costs have done little to dim the unshakeable dream of new water coming east from the seemingly endless fountain of the Upper Colorado River Basin. But there simply is no more water left to take. The old visions and dreams of an endless western slope source of water have to change. Spending billions to take more water from the Upper Colorado system, water we know won’t be there, makes no sense. Building new water supply projects will further weaken river environments, decimate a robust recreation economy, and leave us more vulnerable to future drought. This is not a legacy we want to leave for our children. It’s time to start figuring out how to live with the water we have. 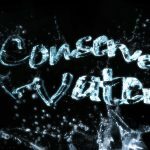 Conservation and efficiency— doing more with less— is an approach that we need to embrace if we want to keep water in our rivers. 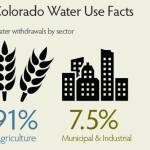 Denver Water has a slogan, “Use only what you need.” This idea needs to spread statewide to our cities and our farms. Want your voice to be heard? Click here.